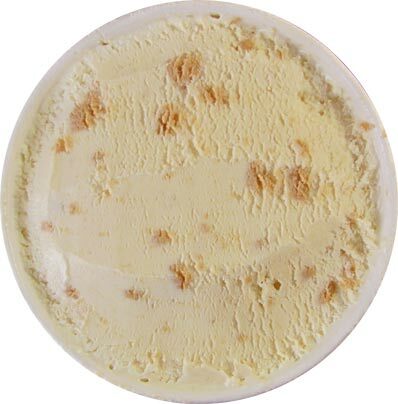 [By Nick] I'm pretty sure I've mentioned in every review of a lemon flavor I've done (which hasn't been many) that I really want to try Three Twins Lemon Cookie ice cream. Well I no longer have to want that because on my first ever trip to The Fresh Market (you remember the disappointing gelato) they had a few flavors of Three Twins. It was the first time I've seen them in my area and I nearly fell to my knees when I saw they had a pint of Lemon Cookie. First off, I love Three Twin's packaging. The safety tab, while not new or unique (even Stewart's and Hershey's new packaging now has them) it's a nice touch to help prevent any kind of contamination. 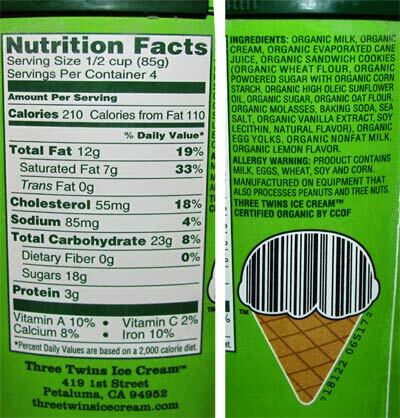 My favorite part of the pint design is the ice cream cone upc code. While it took my cashier a bit to scan it, he was easily amused by it as well. 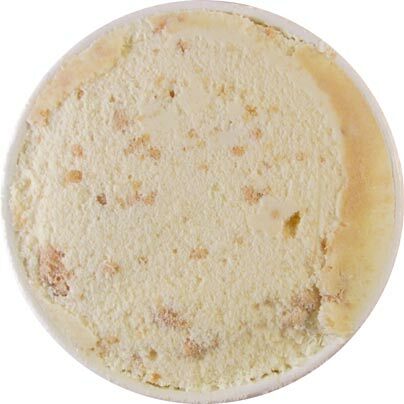 With the tamper seal removed, the ice cream looks as advertised. There's a pleasant lemon aroma coming from the ice cream as well. Digging in, this ice cream is everything I have hoped and dreamed for. I was nervous that I might have overhyped this one in my mind and I was ready to be let down. Thankfully, Three Twins lived up to my expectations and then some. First off, the quality of the ice cream is up there with the big boys. It could be a bit smoother but I have really no qualms with the texture. The lemon base is the best I've had to date. It's crisp, refreshing and has just a little citrus punch to it that makes it addicting. This isn't going to make you pucker up, but it's enough to let you know the bite is there. Also the lemon flavor is as natural as can be. I know Three Twins is organic/natural blah, blah, blah. When it comes to certain flavors, it can go from natural to artificial in a second. I would be content with the base alone (actually, I need a company to make me a lemon base-only flavor for my sundae project) but the addition of the vanilla sandwich cookies take this one to the next level. We all know I'm a fan of a well-executed cookies & cream and this lemon version is spot on. While the cookies aren't big by any means, you're able to get a lot of bits in every spoonful. The vanilla flavor helps to tame the sour from the base and compliments it well. Buy Again? I'll take a quart! Was this in Saratoga! ? I don't think I've seen it in the 30 million times I've stood in front of the Ice cream case there ! Nope, the Latham Fresh Market. That's why I mentioned the disappointing gelato I got from there. If you're ever in Niskayuna, I also saw it at the Shop Rite there. I'd imagine the other Shop Rite carry it as well now. Perfect, I'm heading south today anyhow, seems like a cooler is coming with me packed with ice for delicious FM treats ! 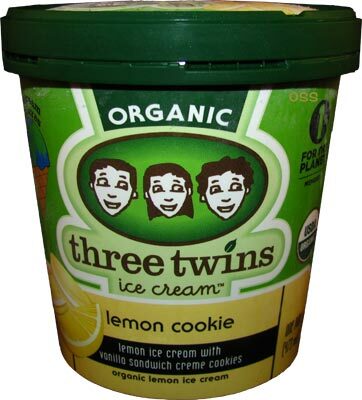 I just tried the Three Twins Lemon Cookie for the first time this week (found it at Mother's Market in Orange, CA), and it has quickly become my #1 favorite ice cream! I almost bought an entirely different ice cream at the time, but a another woman in the ice cream aisle asked if I had tried the Lemon Cookie ice cream yet, and she said it was her new fave. That was good enough for me to try. So I quickly put the Talenti Gelato chocolate chip back on the shelf, and grabbed the Three Twins Lemon Cookie. It's the best purchase I've made in months! -E.L. I love this flavor!!! Hoping not too many others find out how good it is so as to prevent a supply demand issue!